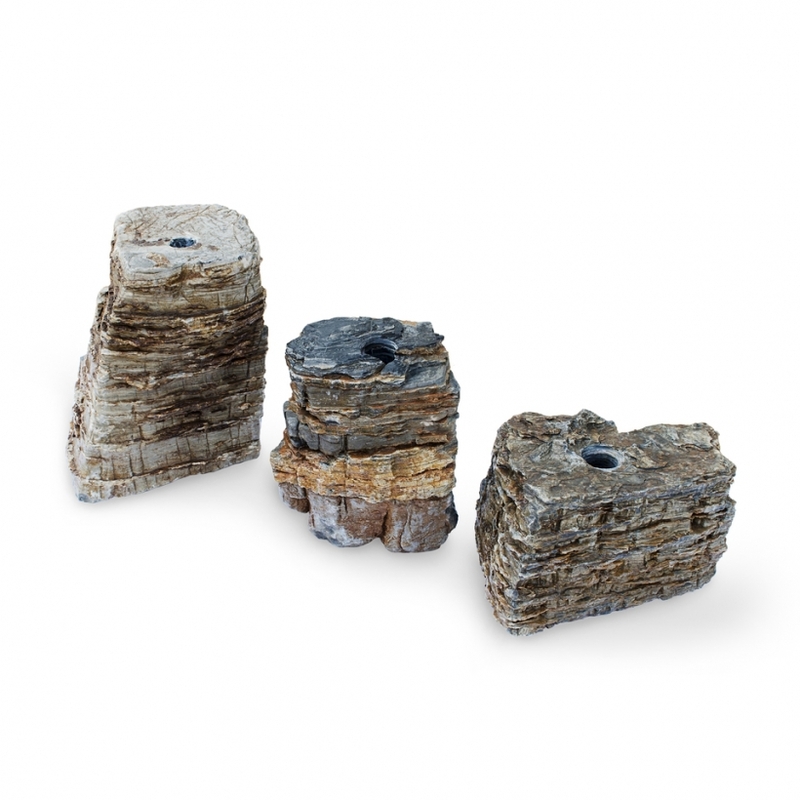 Pagoda Fountain Rocks Set of 3 - Aquascape, Inc.
Aquascape Pagoda Fountain Rocks incorporate the sights and sounds of water to any environment by providing a unique, natural stone water feature that can be easily tied into any yard or landscape. 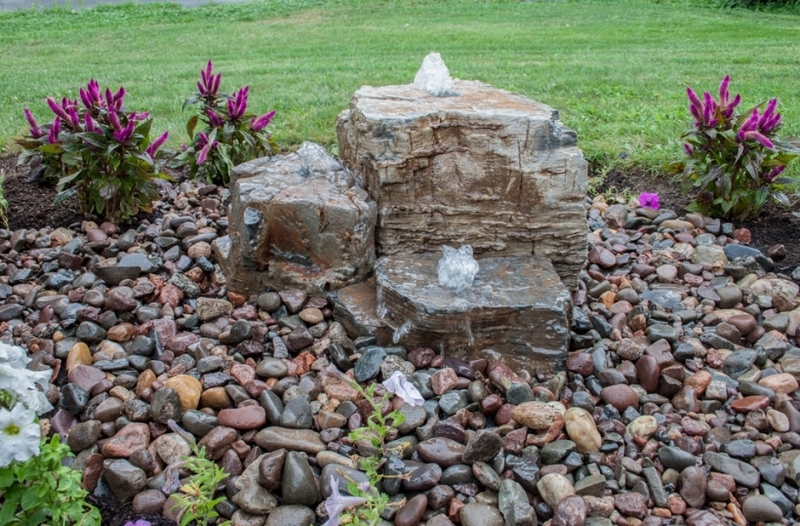 Each stone is unique in shape, color, and texture and the layered formation of the stones creates a beautiful rippling effect as water runs over the surface. 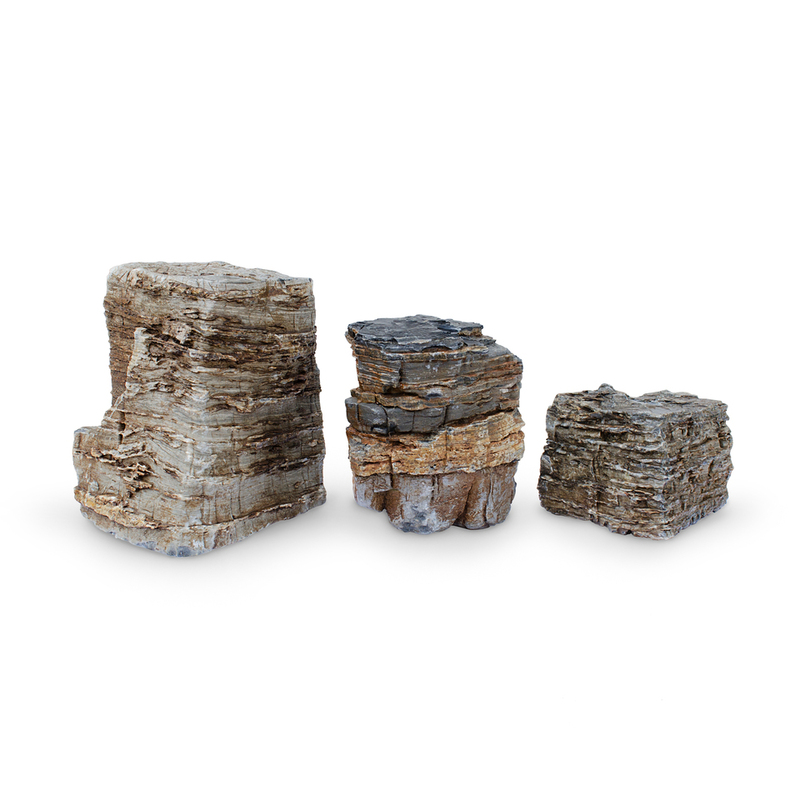 The set contains one large, one medium, and one small rock, allowing for an aesthetically-balanced feature. Our Pagoda Fountain Rocks are core-drilled for easy installation and recessed for use with our Aquascape Fountain Accent Light. The set can be used in combination with the AquaBasin 45 and Ultra 2000 Water Pump for simple installation. Aquascape is passionate about the products we produce, providing unique products, designs, and features that stand above the competition.